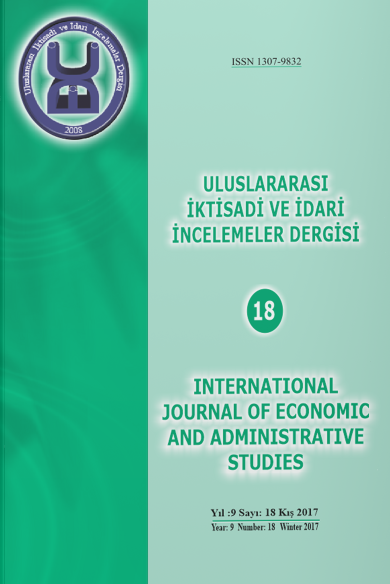 The aim of this study is to determine whether there is a relationship between urbanisation and economic growth in terms of 13 European Union Member countries and of Turkey as well as to determine the direction of this relationship, if it exists. In the study, GDP per capita was used as a dependant variable where population density and employment rates of industry and services sectors, which represent the urbanisation, as well as the employment rate of agriculture sector and general employment rate, which were included in our model, were used as independent variables. The annual series of the variables of the model that was created within the scope of the study for the period between 1990-2014 were analysed by panel co-integration method. According to panel causality test, there is a bilateral causality relationship between GDP and employment rates of services, industry, and agriculture sectors. Additionally, there was a unilateral causality relationship from GDP towards urban population density and towards general employment rate. Also, according to the DOLS and FMOLS results, the increases in urban population density and in the employment rate of services sector have a positive effect on GDP per capita. Findings from the study show that urbanisation and economic growth are mutually dependent processes in 13 EU member countries and in Turkey. Bu çalışmanın amacı, Avrupa Birliği’nin 13 Ülkesi ve Türkiye açısından kentleşme ve ekonomik büyüme arasında bir ilişki olup olmadığını, ilişki var ise bu ilişkinin yönünü belirlemektir. Çalışmada, kişi başına GSYH bağımlı değişken, kentleşmeyi temsilen kentsel nüfus yoğunluğu, sanayi, hizmetler sektörü istihdam oranları ve ayrıca modele dahil edilen tarım sektörü istihdam oranı ve genel istihdam oranı bağımsız değişken olarak ele alınmıştır. Çalışma kapsamında oluşturulan modelin değişkenlerine ait 1990-2014 yıllık serileri panel eşbütünleşme yöntemi ile analiz edilmiştir. Panel nedensellik testi sonuçlarına göre, hizmetler sektörü istihdam oranı ve sanayi sektörü istihdam oranı ve tarım sektörü istihdam oranı ile kişi başına GSYH arasında çift yönlü nedensellik ilişkisi vardır. Bununla birlikte kişi başına GSYH’den kentsel nüfus yoğunluğu ve genel istihdam oranına doğru tek yönlü nedensellik ilişkisi vardır. Ayrıca, DOLS ve FMOLS sonuçlarına göre kentsel nüfus yoğunluğu ve hizmet sektörü istihdam oranındaki artışlar kişi başına GSYH’yi pozitif yönde etkilemektedir. Çalışmadan elde edilen bulgular kentleşme ve ekonomik büyümenin 13 AB ülkesi ve Türkiye’de birbirlerini besleyen süreçler olduğunu göstermektedir. Baltagi, B. H. (2005). Econometric Analysis of Panel Data. England: John Wiley & Sons Ltd.
Barro, R. J., ve Sala-i-Martin, X. (2004). Economic Growth. Cambridge, Massachusetts: The MIT Press. Chen, M., Zhang, H., Liu, W., ve Zhang, W. (2014). The Global Pattern of Urbanization and Economic Growth: Evidence from the Last Three Decades. PLoS ONE 9(8): e103799. doi:10.1371/journal.pone.0103799. Cheng, C. (2012). A study of dynamic econometric relationship between urbanization and service industries growth in China. Journal of Industrial Engineering and Management, 6(1), 8-15. Henderson, J. V. (1988). ‘‘Urban Development: Theory, Fact, and Illusion’’. Oxford: Oxford Univ. Press. Mills, E. S., ve Becker, C. M. (1986). Studies in Indian Urban Development. Oxford: Oxford Üniversity Press. Mills, E. S., ve Nijkamp, P. (1987). Advances in Urban Economics. Oxford: North-Holland.